Our Physiotherapists are fully qualified with years of experience in orthopaedic, musculoskeletal, sport and post surgery rehabilitation. Our Osteopaths are fully qualified with years of experience in orthopaedic, musculoskeletal, sport, back pain and neck pain. 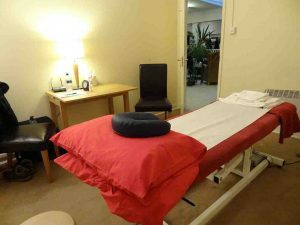 Our osteopaths use the most gentle but efficient techniques and have also training for digestives and cranial osteopathy. Our therapists speak fluent English and French.